This week various changes were made in the AI department, from simple enemies to mini bosses, and their behaviors have been polished. Also, some bugs that still persisted since our last showcase at Comic Con were finally fixed. Plus, we’ve added a simple stress meter that shows up while riding so players can tell for how much longer they can mount the Elk before needing to feed it some berries. Our animator did a lot of new animations for our enemy models and gave them the appropriate mood and feeling. 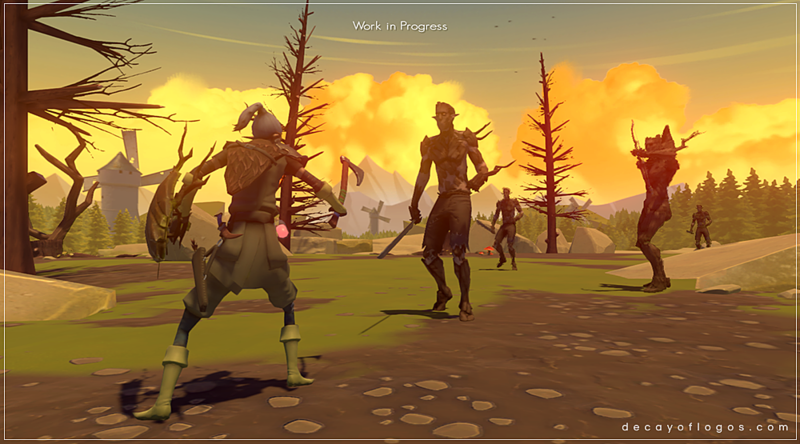 He’s constantly working on custom ones to replace the old placeholder animations that we still have in the project. Additionally, different weights are now assigned to each foe as they are instantiated, so that every enemy acquires a stronger sense of individuality. Here are the various forms of transformation of this type of enemies. We’ve also been working on an important event that takes place in the final area of Chapter One – the meeting with the Kid. 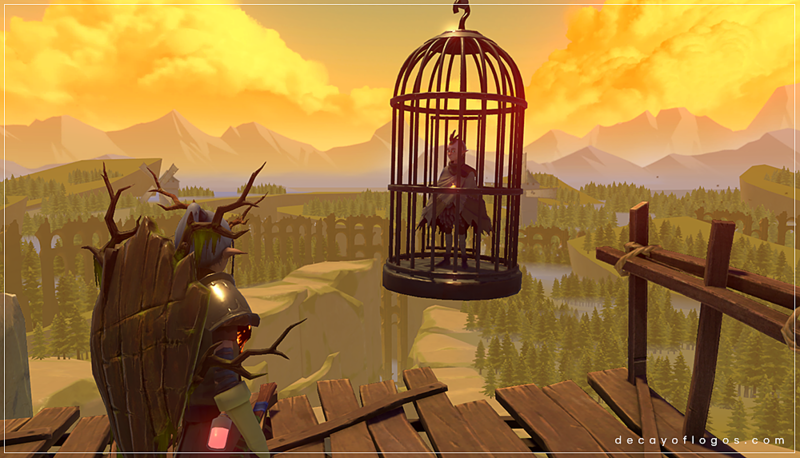 The player will be able to help him escape from the cage he is trapped in, eventually learning more about his origin as the journey continues. This entry was posted in Animation, Dev Blog, Gameplay, WIP and tagged 3D, Animation, Gameplay, Interactions, WIP on February 10, 2017 by Andre Constantino. Parabéns pelo excelente trabalho e dedicação. I like how the further along the woodening process of the woodmen = the more distorted their walking is. Thanks you for keeping us tuned of your new improvements! Do you know how many acts you plan to implements? No problem, thank you for following it. We don’t want to spoil it but there are a couple of acts, each with their own visual style and length.